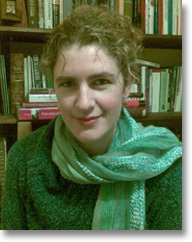 Dr Wendy O'Shea-Meddour is in the final year of her British Academy Postdoctoral Research Fellowship at Oxford University where she specializes in Critical Theory, Feminist Theory and Postcolonial Fiction. She has published work on authors ranging from V.S. Naipaul and Hanif Kureishi to Jacques Derrida and Gaston Bachelard. Recent essays can be found in Fundamentalism and Literatures in English (edited by Pesso-Miquel and Stierstorfer), British Asian Fiction (edited by Neil Murphy) and Asian Gothic (edited by Andrew Ng). She is currently writing a book about the construction of ‘Muslims’ in contemporary British fiction.